As a future prediction, BIS Research is looking at massive investments in blockchain technology by the year 2025. It estimates a figure of US$5.61 billion regarding healthcare software controlled by this database system, globally. These are overwhelming numbers suggesting the importance and widespread use of this technology. The decentralized & distributed nature of blockchain technology makes it free from intermediaries. With the transparency and security blockchain offers, more healthcare institutions are getting accustomed to it, becoming well-aware of its benefits. EHR systems are the applications most talked about when we discuss healthcare IT systems connecting dots with blockchain. 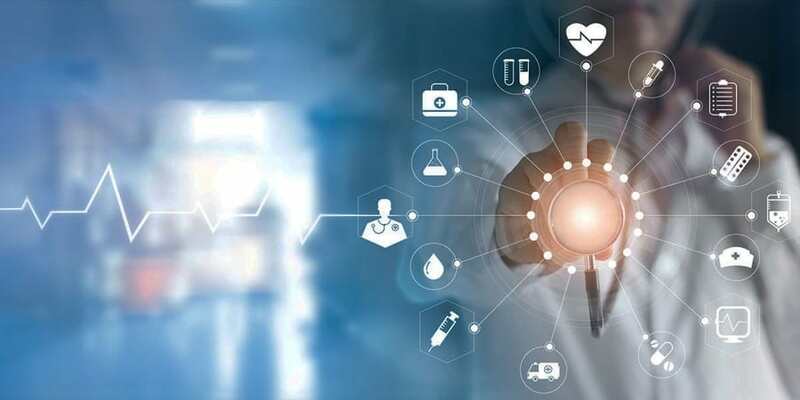 Some of the top concerns like interoperability of EHR systems, medical billing service errors and a weak supply chain management system can be crippling for the US healthcare industry. These concerns can be addressed via blockchain with easy access and a highly secure data environment. There are several living examples of hospitals that are already running a blockchain-based healthcare system and reaping a wide range of benefits. The EHR systems face problems in the interoperability, security, and accessibility areas. To providers’ relief, this ground-breaking technology provides a reasonable solution. BIS Research shows that the Health Information Exchange (HIE) is crucial when it comes to controlling the cost and quality of care. The company also points out to the fact that the information shared between practices, doctors, and other organizations still is insignificant. We need reliable and easier access to patient data across multiple platforms, reduction of errors and duplications to generate better health outcomes. It is the stance of most medical professionals when it comes to patient health records. The US healthcare industry is leaking money in the form of frauds every year. In 2016, Medicare reported a loss of US$30 million on this account. It is time to do something about it, and by using blockchain, we can guard insurance programs against losing vast amounts of money. Patients will not only be able to present the latest occurrence of their health status, but the doctors will also find relief. They don’t have to ask the same questions again and again. For instance, whenever we go to see our doctor, they ask us what medicine we are currently taking. What do our wearables tell us? With EHRs integrated with blockchain, the information will automatically update in the patient charts giving more control to the patient over their data. Medical billing services can make use of this technology to report seamless and transparent claims data to the insurance companies. The patient health records are more secure and standardized with blockchain technology, says EHR Intelligence’s Kate Monica. Claims’ data will have fewer errors resulting in lower denial rate from the insurance companies. The resolution of claims and organization of the billing process results by implementing this distributed ledger system. The companies will easily meet HIPAA compliance standards because the system promotes data security, unlike conventional database systems. We will eventually save the millions lost on account of data breaches and use them to our benefit instead. Hence, in the year 2018, CAC (Computer-Assisted Coding) along with blockchain use can speed up and authenticate the medical billing process naturally, aligning the revenue cycle management function. There will be no more piles of accounts receivables and pending bills by lack of information and invalid patient data. As a medical billing company, blockchain technology can only add value to your reputation. It will represent your achievement and uplift your status in front of the medical providers. Today, the healthcare IT sector needs something to challenge and oust the problem of counterfeiting drugs. According to a report, the pharmaceutical industry loses US$200 billion in counterfeit drugs. Blockchain will save money by giving access to the origin of the supply chain at individual levels. The process at each step can become transparent and crystal clear. At any point, the patients can verify the source of the medication. Similarly, the pharmacies can check the source, when they are purchasing medicines from the wholesale dealers. The assignment of unique codes to medicines helps identify their source of origin. The vendors and patients can use it to verify and validate them. Therefore, no more fake drugs posing a threat to humanity. We could come up with authentic, fast and much active healthcare IT systems if we were to implement blockchain technology. Nisa Saleem has been writing on health for a couple of years now. It’s her consistency that makes her a worthwhile writer along with her ability to read extensively. The health IT systems are revolutionizing the US healthcare industry as a step towards quality care and reduced expenses. Currently, she works for P3Care and explores the working behind medical billing services alongside optimizing other health-related providers’ activities online.